Hi I found part (a) no struggle however Im stuck on part (b) of this question. 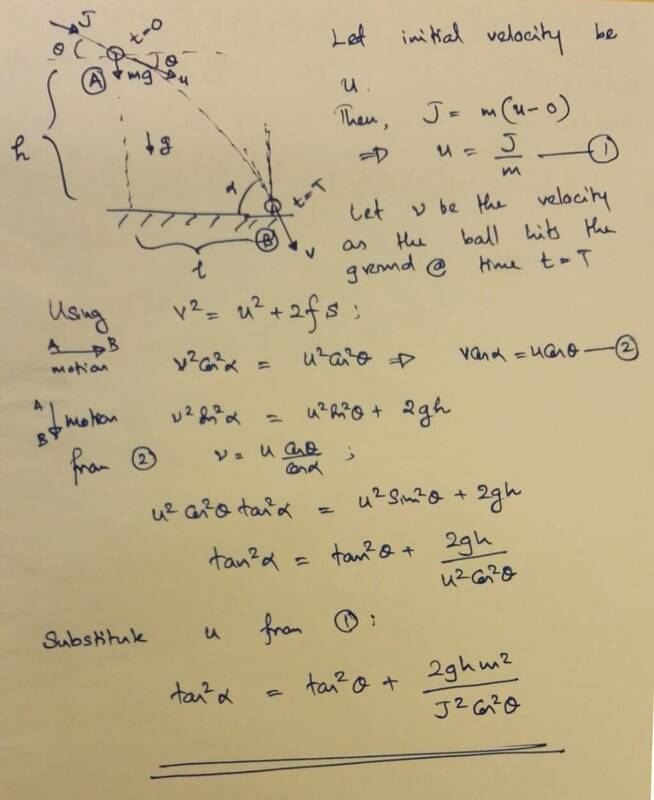 using U= J/m cos(Θ ) Ive found v^2 =(J/m)^2*cos^2(Θ) - 2gh. Very confused where to go from here. The choice of U=J/m cos() is the issue here. The initial velocity aligns with the direction of the impulse (theta to horizontal plane) and it is just J/m. You can workout from there. If needed, handwritten solution is added.